Candle Making Machine is a good option for starting a Small Business at home. Anybody can make some handsome money by spending some hours daily. There is a good demand of wax-candle found in the market throughout the year. With this Candle Making Machine you can make wax candles and can sell it in the market and easily can make some handsome money by starting a small business. At first you have to buy beeswax. It is available in the market of Barobazar in Kolkata. You have to use different sizes of dies for making different sizes of candles. You have to put thread in the indicated place of dies. Now you have to pour the melted beeswax in the dies. Within some minutes the beeswax will be coagulated. The last you have to separate the candles from dies. The price of the machine depends on the capacity of machine. 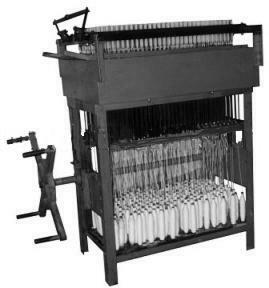 The price of the machine which can make 50 to 60 small candles is approximately Rs.1200 to 3000. The price of the machine which can make 400 to 500 is approximately Rs.40000. You can find many companies manufacturing a wide range of Candle Making Machine.